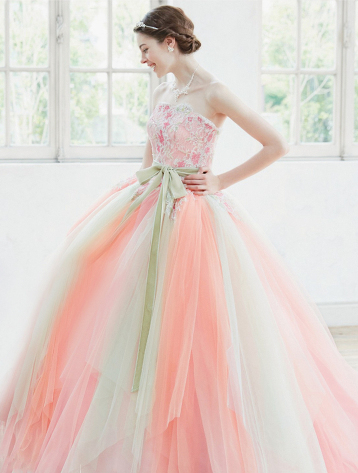 Utterly blown away by this romantic pastel gown from Misato Kowaki featuring an airy tulle skirt! This pastel wedding gown from Lavieen Rose featuring romantic floral prints is making our hearts sing! 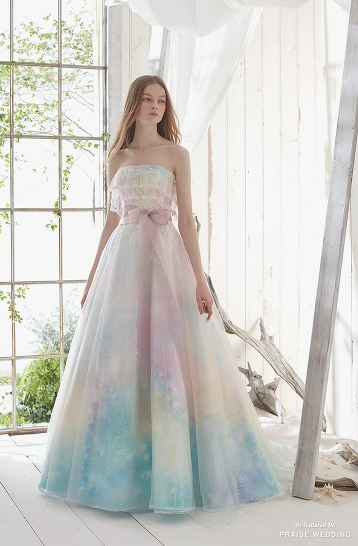 We’re drooling over this romantic pastel gown from Kiyoko Hata! This pastel gown from TuNoah Wedding featuring sweet floral appliques is shouting romance! 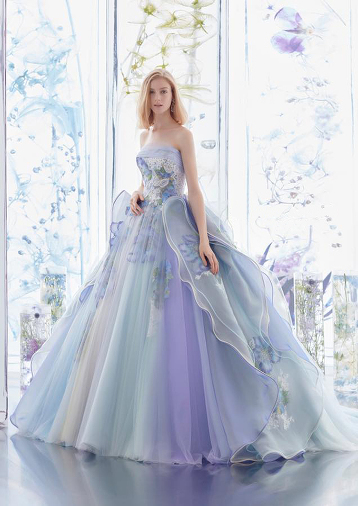 This pastel gown from Scena Duno featuring a unique blend of spring colors is fulfilling our fairy tale dreams! 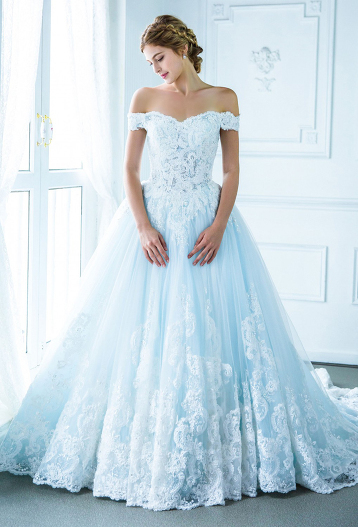 This pastel blue off-the-shoulder gown from Digio Bridal featuring delicate lace detailing is downright droolworthy! 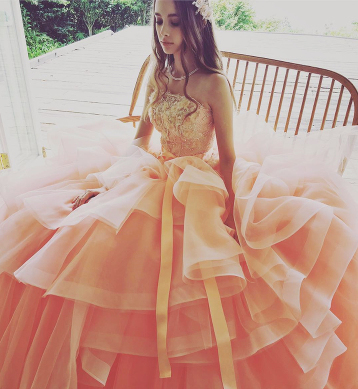 This pastel gown from Digio Bridal featuring magical colors and floral lace appliques is overflowing with fairy tale romance! This pastel blue wedding gown from Digio Bridal featuring sophisticated lace detailing is shouting angelic romance! 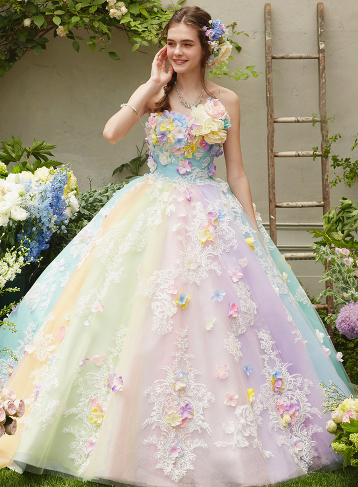 This pastel rainbow gown from Nicole Collection featuring 3D floral appliques is sure to fulfill your princess dream! Utterly blown away by this pastel ruffled gown from Kiyoko Hata! 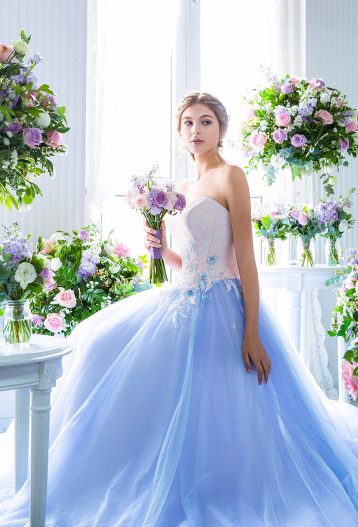 Lazaro’s 2018 spring collection presents this pastel gown with a classic silhouette and amazing details! This pastel purple gown from Anovia featuring sophisticated jewel embellishments will definitely make you shine on the day! It’s hard to resist this off-the-shoulder gown from Sophie Design featuring chic detailing and magical pastel tones! 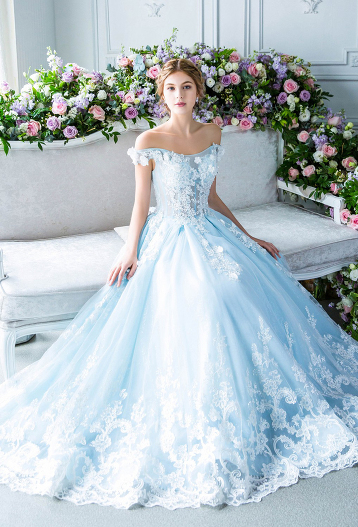 A romantic pastel blue ball gown from Anteprima featuring lavish floral details! This dreamy pastel gown from Hana Bridal Salon is exceedingly romantic! 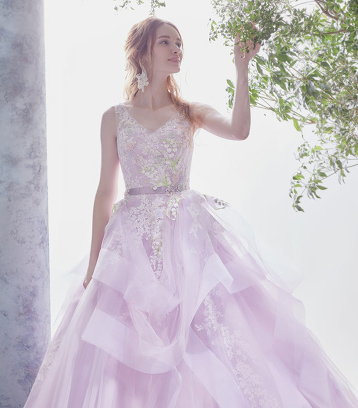 Utterly blown away by this pastel gown from Kiyoko Hata featuring dreamy layers of romantic colors! 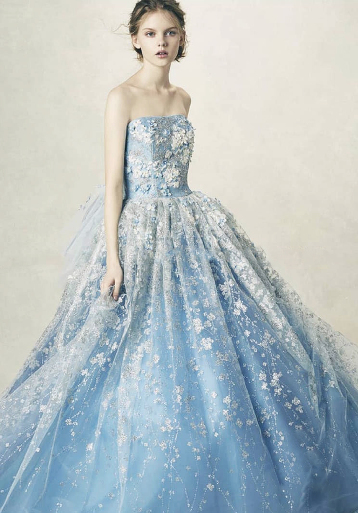 This pastel gown from Isamu Morita presents romance with a touch of fairy tale magic! 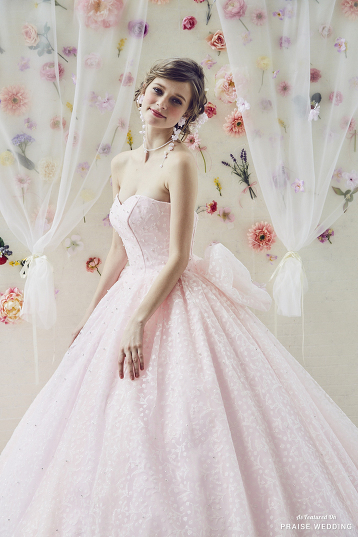 This romantic ball gown from Isamu Morita featuring soft airy color tones is enchanting us with romance! This glittering pastel rainbow gown from Pla Cole Wedding is making our hearts sing! 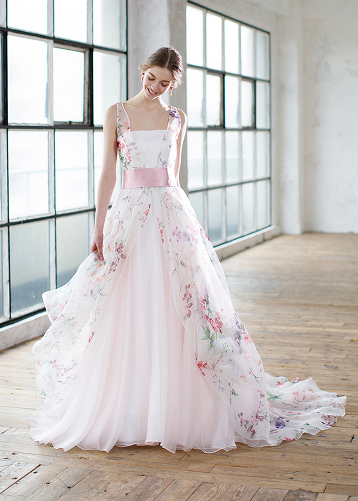 This pastel floral gown from Kiyoko Hata is exceedingly romantic!